Sometimes, it can be hard to get those creative juices flowing. We’ve all been there: you’re gearing up to make some big changes to your outdoor space, but don’t know quite what to do to really make your mark on the project. You’ve looked at design magazines, you’ve watched hours and hours of home improvement shows, but that perfect accentuating feature just continues to elude you. Don’t worry – CornerStone is here to save the day. If you’re looking for an idea to give your outdoor space a bit more *pop*, we’ve got just the thing: pillars. 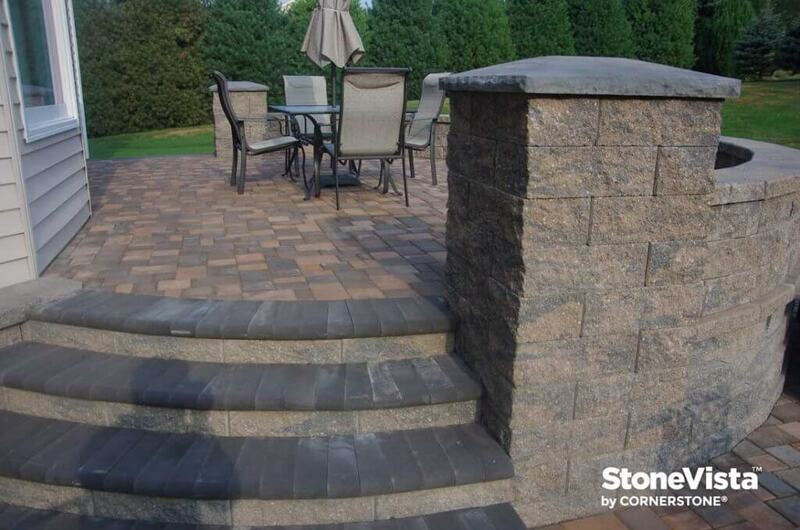 These appealing bits of flair will give your next landscaping project an element of stateliness and style, and easily integrate into any retaining wall system – or stand on their own to enhance the entrance to your beautiful home – while looking like a million bucks to boot. 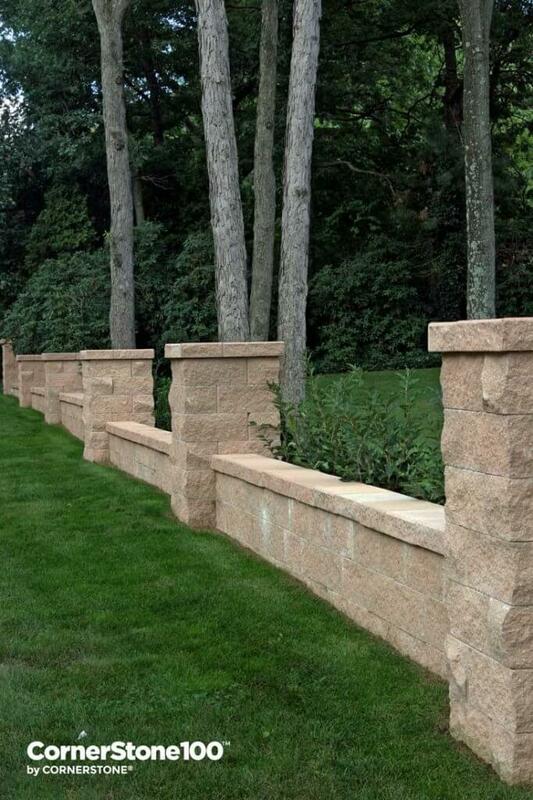 Aesthetically pleasing: Pillars can change a typical retaining wall system into a focal point of your landscaping, adding stylish design to an otherwise utilitarian outdoor feature. Consistency: Using matching materials and colors, piers can bring an element of consistency and togetherness to your landscaping, helping to tie the whole outdoor space together. Creativity: Make your outdoor space an expression of yourself – incorporate piers and pillars to give your new landscaping project a style that’s all your own. 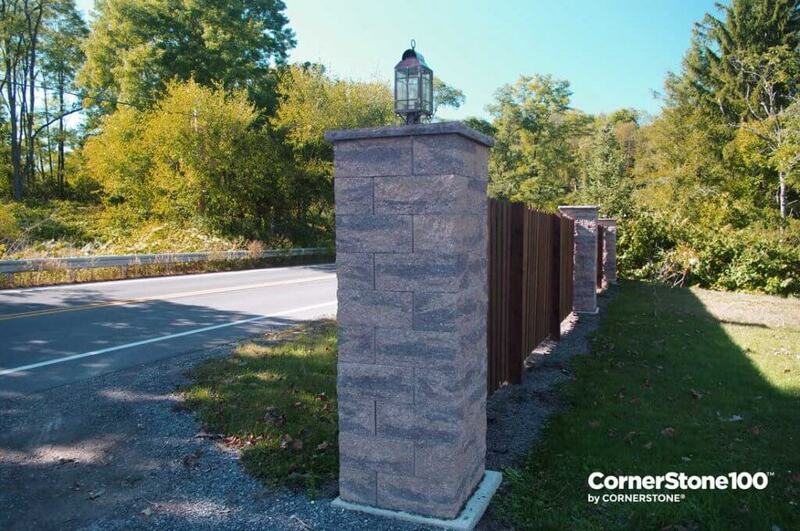 Practicality: Many homeowners use freestanding pillars to mark the entrance of their property, define their driveway, or even act as a mailbox for easy access on the way up to the house! 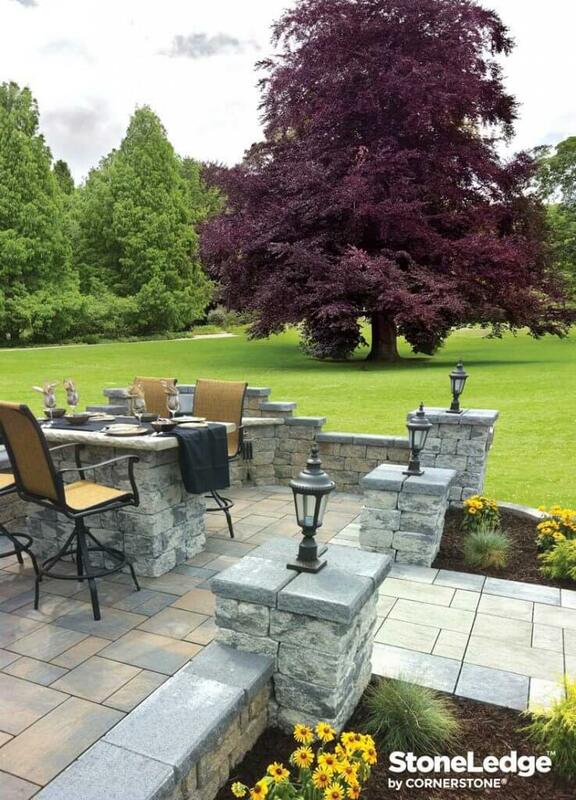 By using interlocking retaining wall blocks, along with user-friendly design software, you’ve got nothing to fear when it comes to adding columns to your new retaining wall – feel free to get creative, and build the outdoor space of your dreams! 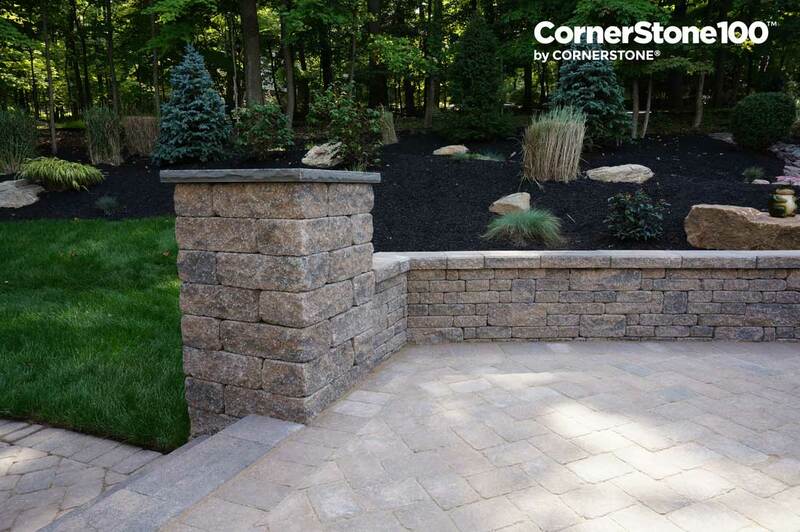 Here at CornerStone, we encourage you to look at your retaining walls not simply as necessary fixtures, but as statement pieces in-and-of themselves. 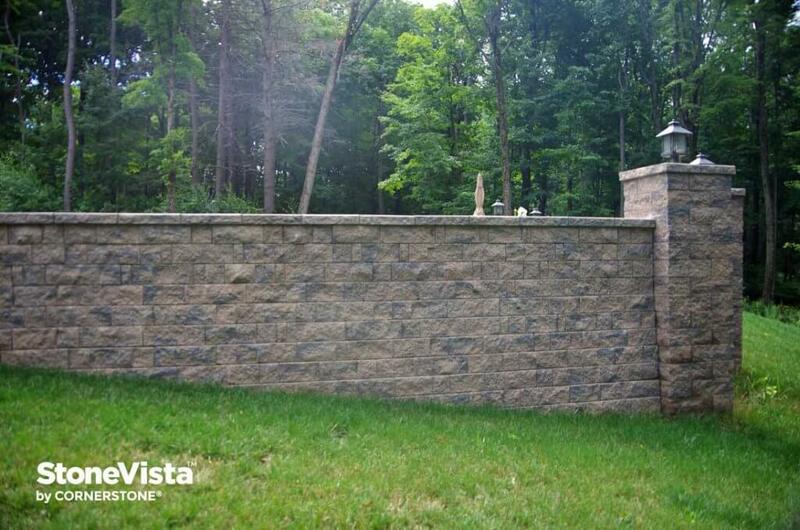 There are so many creative options when it comes to building a retaining wall that really, there’s just about nothing holding you back but your imagination. The best advice we can give when planning your spring project? A block is not a block; a block is your imagination! With an interlocking wall system, you can easily make use of pillars and piers to create stunning feature entrances, gates, walkways, driveway spaces, and so much more. 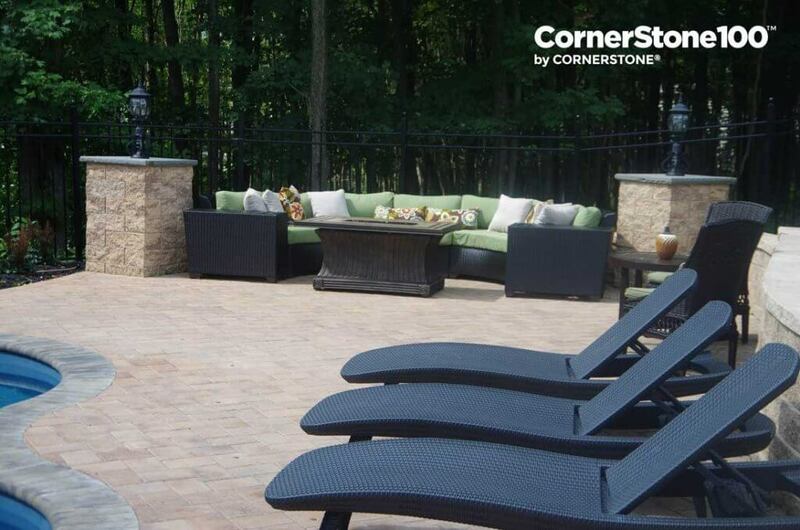 CornerStone’s innovative interlocking system means that you can build stylish, outdoor retaining wall features that will last, all for far less than the cost of using masonry blocks clad with mortar. You can also get really creative and integrate beautiful corners, curves, and stairs into your retaining wall system, but we’ll leave those details for another blog! If we’ve got your landscape design juices flowing (and we hope that you do! ), there’s no better time to start planning to integrate columns into your design. 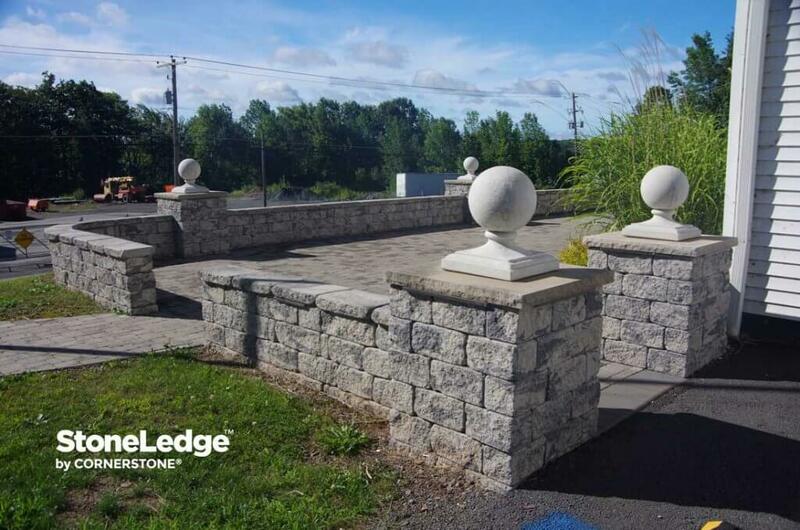 Start by getting in touch with your local CornerStone dealer, and they’ll be happy to supply you with everything you need to incorporate some eye-catching pillars into your outdoor landscaping project.